Who would have thought that a modern black and white silent film could be funnier and more entertaining than most films made with sound and color nowadays? Sound might have been improved film, but “The Artist” proves that a step back into silence every once in a while isn’t such a bad thing. 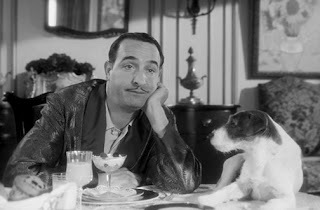 For anyone resistant to seeing a silent film, “The Artist” is only partly one. It incorporates the orchestra that would usually play live alongside a silent film as well as a few incredibly clever sound tricks. 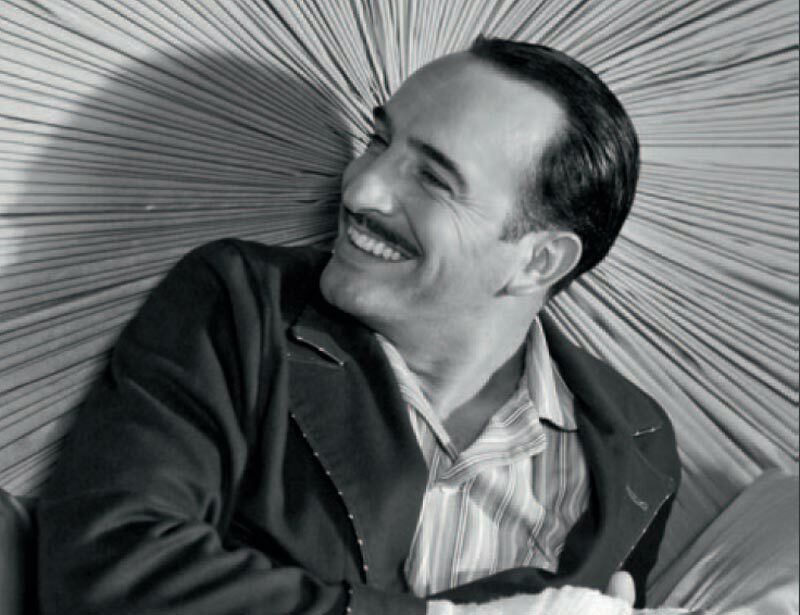 “The Artist” is an “I’m big, it’s the pictures that got small” story about silent star George Valentin (Jean Dujardin), with a last name evoking Rudolph Valentino and a mustache and toothy grin evoking Clark Gable. In 1927, Valentin’s Hollywood career is soaring. He stars mainly in action and romantic pictures which usually boast names such as “A Russian Affair” and “A Chinese Affair.” His dog, who is always on his side in both movies and in life, probably plays dead better than most dogs. Movies are all about those little coincidences that, like a butterfly effect, later have a huge impact. After leaving one of his premieres, Valentin bumps into a fan (Berence Bejo) with a made-for-Hollywood name: Peppy Miller. Her name, and pictures of the glance that the two exchange, is all over the tabloids the next day. In order to get closer to George, Peppy auditions to be a dancer in his next movie. As she gets her start, George teaches Peppy the most important rule in being a successful actor: look distinct. 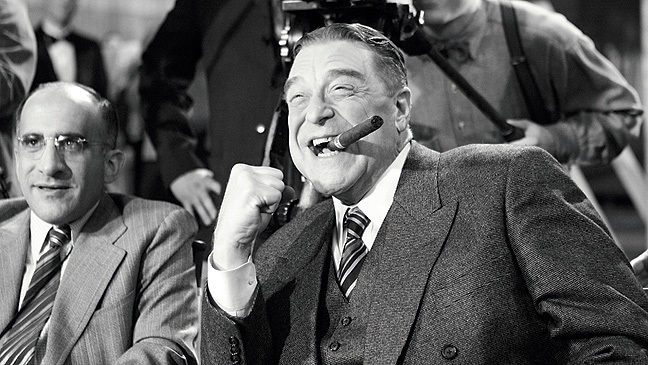 Around the same time that Peppy becomes a household name, the cigar wielding studio head (John Goodman, perfect for the role) decides that silent movies are out, and talkies are in. George wants absolutely no part in the talkies, and he pays the price for his arrogance. The inside of the studio is shown in one scene as a never-ending staircase in which people constantly walk up, but rarely down, like the Hollywood machine that mass produces movies and stars. Valentin becomes just another piece of unnecessary inventory. “The Artist” is both a satire of the way movies are made and a movie with the broadest of plots and characters. Archetypes are usually unacceptable to me but here, they are just so lovingly that they actually work. 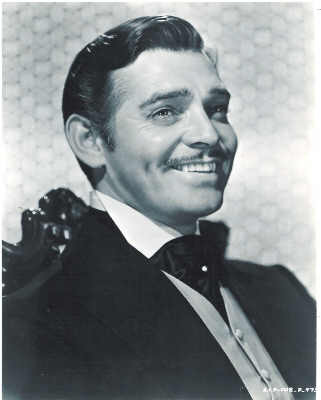 As a movie star, George Valentin has no singular appeal, as he can play both a swashbuckling action hero and a dazzling romantic. These roles only seem to suit him in silent movies, and his fear of speaking makes his attempted comeback all the more difficult. When the new form of motion picture medium first developed, the early filmmakers were like magicians constantly trying to play tricks on audiences. “The Artist” revives that spirit of visual trickery that is so often missing from today’s movies. Some see 3D as a new form of this. What “The Artist” shows is that the image of a woman putting her arm through a man’s jacket and moving it around can give off the appearance that it is actually someone else’s arm. That didn’t even require a pair of 3D glasses. “The Artist” plays many more tricks with sound, both silent and audible. With one very subtle yet shocking clank, sound is brought to a silent world. A title card that reads “Why won’t you talk?” could be considered hilarious despite the dramatic nature of the scene that it is placed in. Another card that appears at the movie’s most thrilling moment, which I will not spoil here, will leave you relieved and stunned. You’ll be relieved at what it really means, and stunned as to how easy it is to play with words. Watching a silent movie is a totally different viewing experience. A silent movie will make even the most casual viewer pay more attention, as actions and gestures are the only things guiding the way. Audiences in the 1920s must have been some of the most engaged moviegoers there were. By bringing together silence and sound, “The Artist” ties the past and present together. Silence might enhance viewing in several ways but in a way, movies were never meant to be silent. After all, every silent movie was accompanied by a live orchestra. A moving image can only go so far. “The Artist” also uses the silence as a sense of humor. The cue cards, perfect in their font, display dialogue that is both hilarious and thoughtful, and not just plot focused. Writer-director Michel Hazanavicius makes the style fit into every ounce of the overall theme. Anyone can make a silent movie. The true achievement of “The Artist” is how it gives this old technology a raison d’etre. Some characters were just meant to be seen as silent. Looking past the silent element of “The Artist” is a movie that is funny and entertaining in the most timeless sense possible. The mark of most great movies is that you never want them to end. “The Artist” may be one of the year’s best movies, but its biggest problem is that it begins to lag on in its third act. The darkest portion of the film begins to feel contrived and repetitive after a while, basically bringing down everything the movie had so beautifully built up. But then, “The Artist” miraculously saves itself in its closing minutes with a few final lines that basically define the entire movie: clever, but not at all snarky. Just as seen in “The Artist,” the Hollywood studio machine churns out an uncountable amount of movies every year. Few rarely stick. Every once in a while, a movie like “The Artist” comes along in which you wish the characters would dance off the screen and into your own lives. Maybe it helps when that machine is French. This entry was posted in Dogs, French, Jean Dujardin, John Goodman, Michel Hazanavicius, Movie Review, Silent Film, The Artist on January 8, 2012 by ian0592.